Have you ever loved a Greyhound? There is so much to admire about this incredible breed of dog. Greyhounds are calm, quiet, peaceful, loving and affectionate. They give unconditional love, which you really feel when they climb up onto the couch with you and drop their head into your lap. Nicknamed the 40-mph-couch potato, they’re the fastest of dog breeds, yet they love to lounge. Greyhounds are racing dogs, and also participate in other dog sports, including lure coursing, conformation, obedience, and agility. But while they may be bred to race, they’re born for much more. Most of all, they just love to play, sleep, cuddle and be loved. Yes, they are large (weighing 60 – 88 lbs.) but they have a slender build and move lightly and gracefully. Despite their size, they’re very space-efficient – actually one of the best breeds for apartment living. If you’re longing to bring a Greyhound into your life, now is the perfect time because April is Greyhound Adoption Month. We suggest you check out Greyhound Friends of NJ, a wonderful organization located in Cherry Hill, NJ. Greyhound Friends of NJ (GFNJ) is a non-profit organization dedicated to placing retired racing greyhounds into responsible, loving homes. 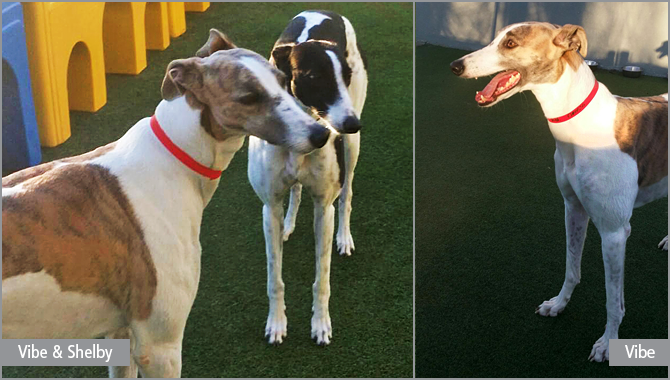 These Greyhounds come from the racetracks in Florida, as their being retired simply because they’re not winning races anymore. Though Greyhound racing has been in decline for decades, Florida is one of the last places where it’s still hanging on. Only 19 dog tracks remain in the U.S., and twelve of them are in Florida. Most of the dogs that come to the GFNJ are 2 – 4 years of age. Linda Lyman, President of Greyhound Friends of NJ, is quite fond of Greyhounds, and has welcomed many into her own family throughout her life. Although most of the Greyhounds at GFNJ haven’t been around children much at the racetrack, they are very accepting of little ones and make great family pets. While GFNJ is predominantly a greyhound adoption group, it will also help some non-greyhounds in need of rescue from high-risk situations by providing them monetary support and/or a safe haven. Greyhound Friends of NJ has been working to place pets with families, and offer experience and support since 1986. Unfortunately, there is a misconception about these incredible dogs and part of GFNJ’s mission is to educate the public. Since Greyhounds are racers, people think they are going to be too active at home, but really they are just couch potatoes. In celebration of Greyhound Adoption Month, GFNJ will have an Adoption Day on Sunday, April 9th, 11 a.m. – 1 p.m. at Pineland Country Kennel in Tabernacle, NJ. The organization will be welcoming 12 new Greyhounds coming from Florida. You can meet these dogs and also foster greys all looking for their forever homes. Get pre-approved to adopt by completing an application here. Greyhound Friends of New Jersey also holds many “Meet and Greets” throughout NJ where those interested in Greyhounds can meet them in person. You can visit the events page on the GFNJ’s website to see where they’ll be next. Launching this month are the GFNJ podcasts. They’ll have celebrities, adopters, and staff on the show discussing Greyhounds. Tune into the show via their website. 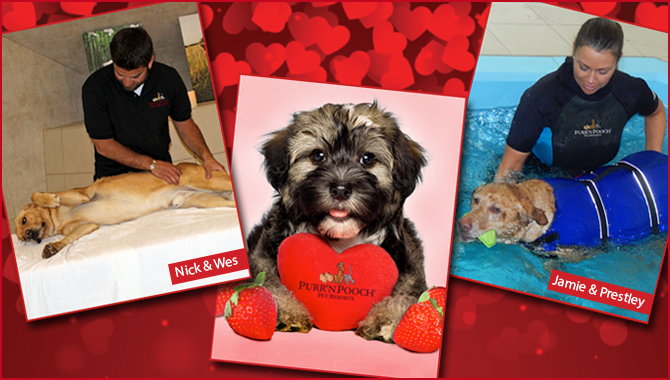 The Purr’n Pooch Foundation for Animals is very proud to have been able to award this wonderful organization with grants in 2010, 2015 and 2016. To learn more about Greyhound Friends of New Jersey, visit http://www.greyhoundfriendsnj.org.